Gauge. Is it really that important? I am a self taught crocheter. I learned through YouTube and crochet books. I have never crocheted a garment that had to fit a certain size. The wristwarmers I made was one size fits all. So I have never bothered to do a gauge test, and I have always thought "How much difference can one hook size really make?" 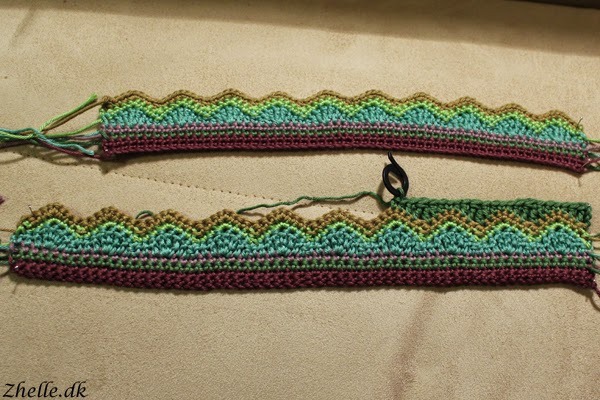 I did do a gauge test when I first started on my geometrical pillow design, but the pattern calls for both a 2.5 mm and 3.0 mm hook, and I don't remember which I did it with. I don't remember what my conclusion was either, but it must have been along the lines of: "Does it really matter? Nooo, I just use the hook size they recommend". 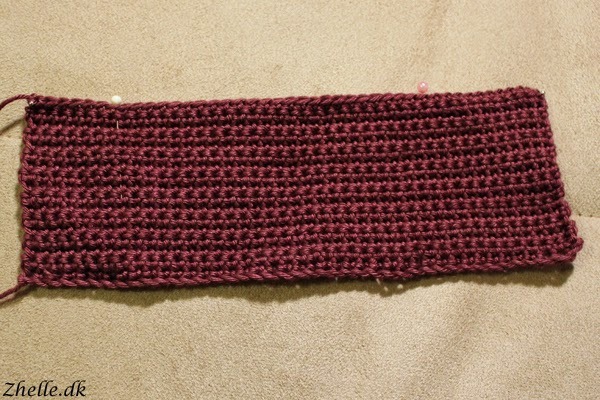 I was happily crocheting along and had done about five rows, when I thought "Let me just measure this piece." It was about 24 cm long but according to the pattern it had to be 28 cm. Bummer. Look at the difference! Apart from being the actual size it had to be, it's also much easier to crochet. 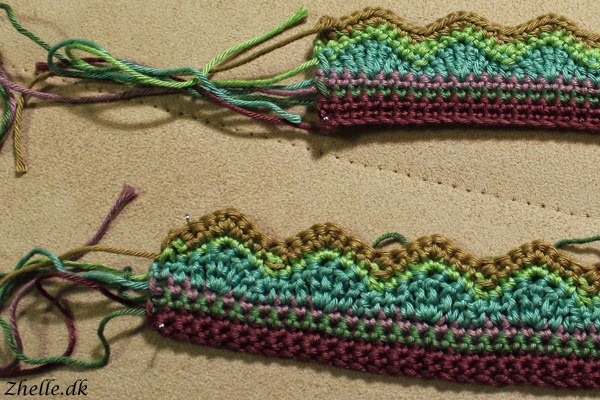 I have a very tight tension when I crochet, so with some yarns I tend to have trouble with it being too tight. I didn't realise how much difference one hook size makes. I am so happy I tried that bigger hook, and if you, like me, have always thought "Rubbish" when gauge and tension is mentioned, do yourself a favour and try it. You might be surprised! 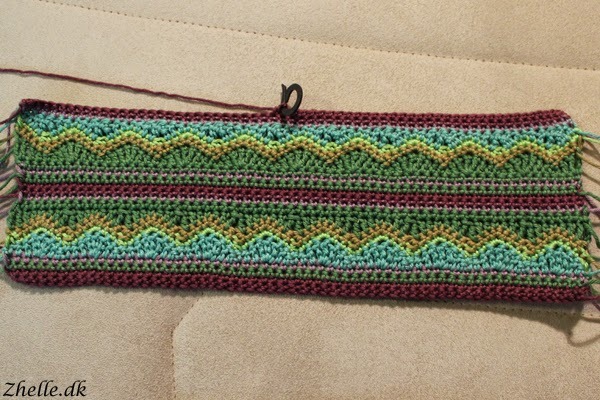 How is your relationship with gauge swatches? Do you think they are silly or do them every single time you start a project? Xenia came over for a crafty Saturday yesterday, and see what she made in the time she was here! It is absolutely adorable! It is going to be on her desk at work, keeping her cheery, and I am absolutely certain that if will do just that! 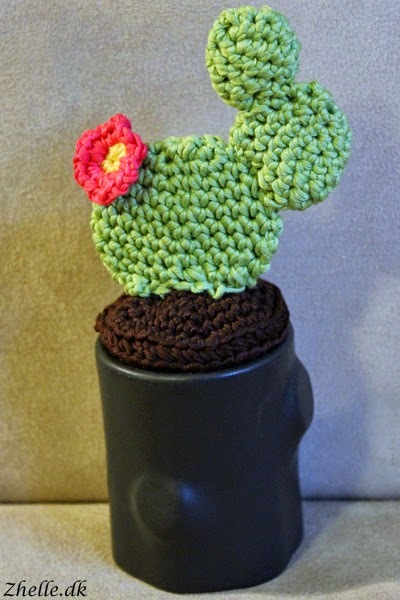 If you want to make an adorable cactus as well, you can find the pattern here.